Firecom began in the late 1960’s as a sound company, “Commercial Radio & Sound”. In the early ‘70’s, due to New York City adopting Local law #5 in 1973 requiring any office building over 75’ high to have a fire system, the company developed a fire alarm system to meet the new code and changed its name to Firecom, Inc. The company went public in 1984 and current management took control of the company in 1991, taking the company private in the mid 90’s. Since 1991, Firecom has made a number of acquisitions of private fire alarm companies in the New York City market. 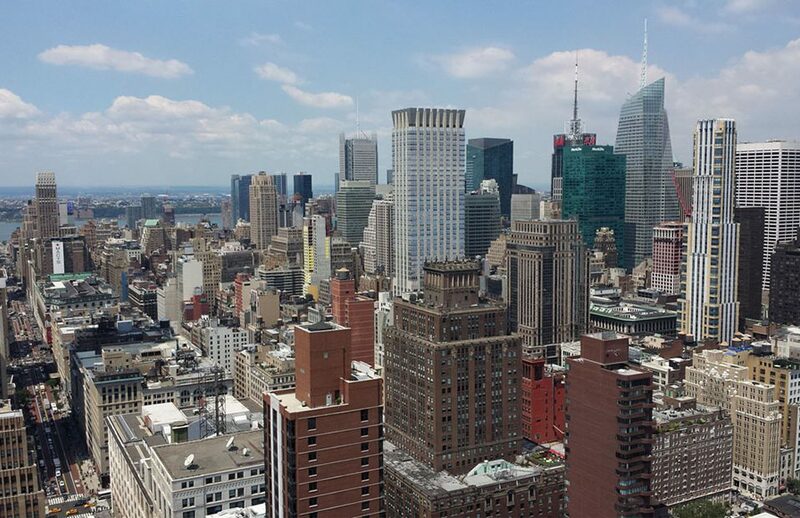 Today, Firecom is the largest fire alarm company in New York City, servicing approximately 813 high rise buildings. Firecom is one of only five companies in the United States to manufacture its own fire life safety system for high rise buildings. The others are Simplex, Honeywell, U.T.C. and Siemens. Though 95% of Firecom’s business is in New York City, its systems are in the Staples Center Los Angeles, Chicago Tribune Building, Diplomat Hotel Florida, and worldwide. In New York City, Firecom’s systems protect 1 World Trade Center, Tower 2, Tower 3 & 4, Tower 7, The HUB, Time Warner Center, Museum of Modern Art, Bloomberg Building, CBS Broadcast Center (only campus system in the New York City), Ed Sullivan Theater, General Motors Building, Fordham Law School, Bellevue DNA Labs, and many other prestigious locations. The company’s activities center around four distinct areas: new construction, retrofit, tenant work and service. The company usually bids on new construction projects to electrical contractors since the fire system is often part of the electrical contract. However, there is a growing trend in large projects to have the fire system be a separate contract directly with the General Contractors. Since many fire systems in existing buildings are over 20 years old, buildings are replacing these systems to take advantage of new technology. In these cases, Firecom will work directly for the building owner and either hire the electrician or the building will separately contract with the electrician. When a new tenant occupies a space in a building, as part of the tenant construction, the fire alarm system on that floor is brought up to the latest code. Firecom will be hired by the electrician contracted to do the construction work on the floor to supply the required fire alarm devices, engineering and software to integrate the new work into the base building system. New York City requires that all fire alarm systems be serviced under NFPA 72 guidelines. Firecom has approximately 813 buildings in New York City that we perform maintenance and repair services for.